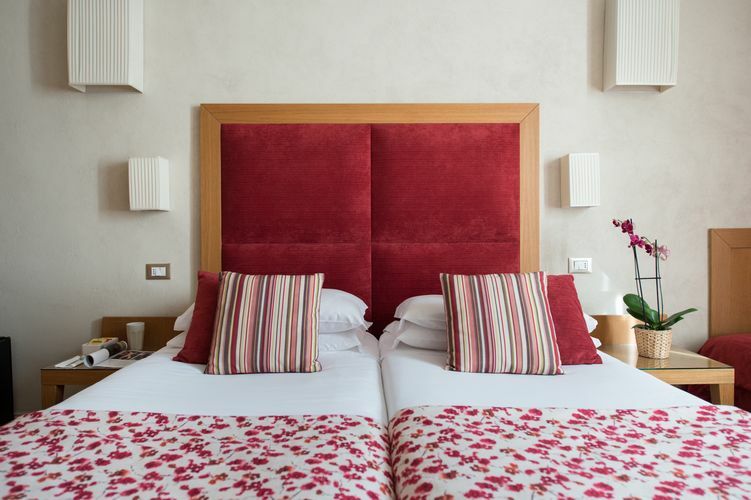 At Hotel Perseo there are 20 smart contemporary style no smoking rooms to suit every request. 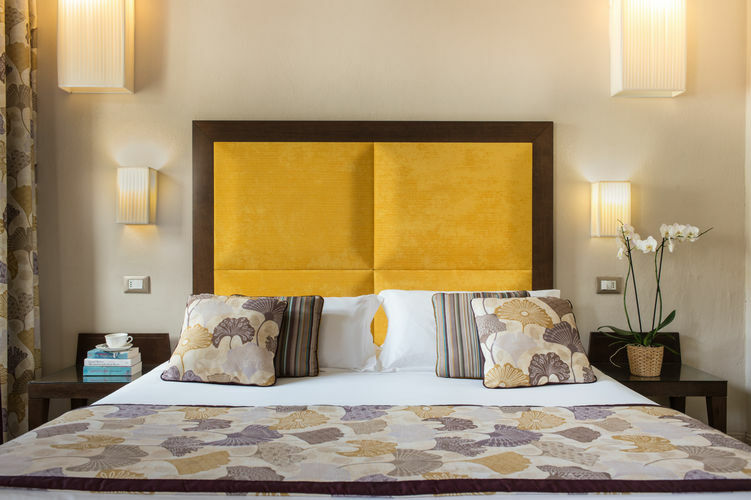 The rooms have been tastefully decorated in warm, inviting colours taking into consideration a weary travellers needs. All in the shade of Brunelleschi’s Dome. 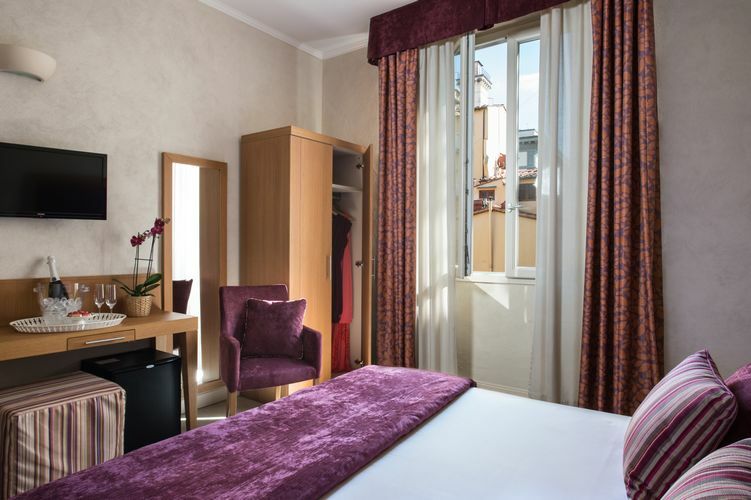 Many rooms offer spectacular views of classic Florentine landmarks and some have a wonderful view of the Cathedral. 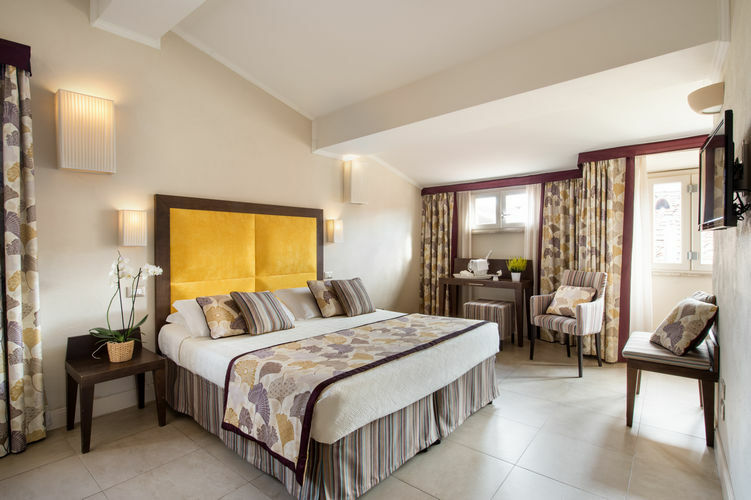 We have large, comfortable rooms that can meet every request: individual travellers, couples or even large famililies. 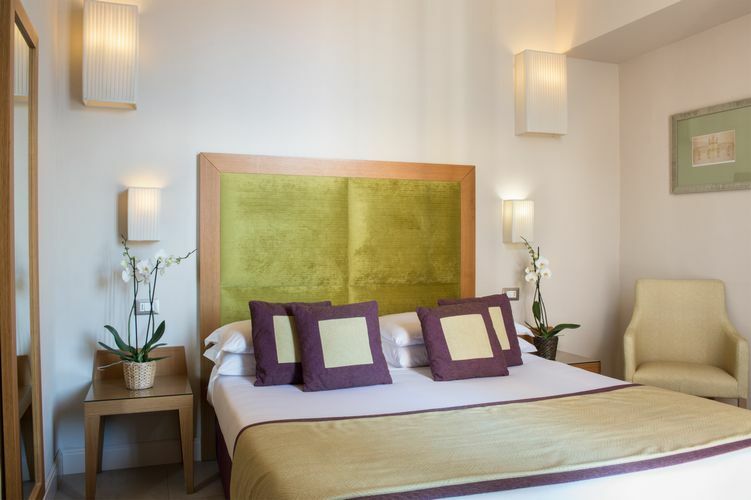 We have a room to suit your needs. mq. 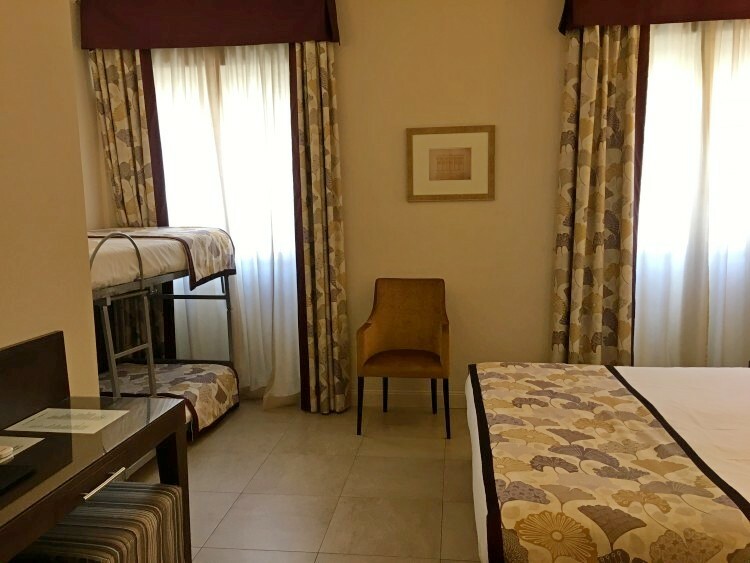 12 Smaller size double/twin room without a view. 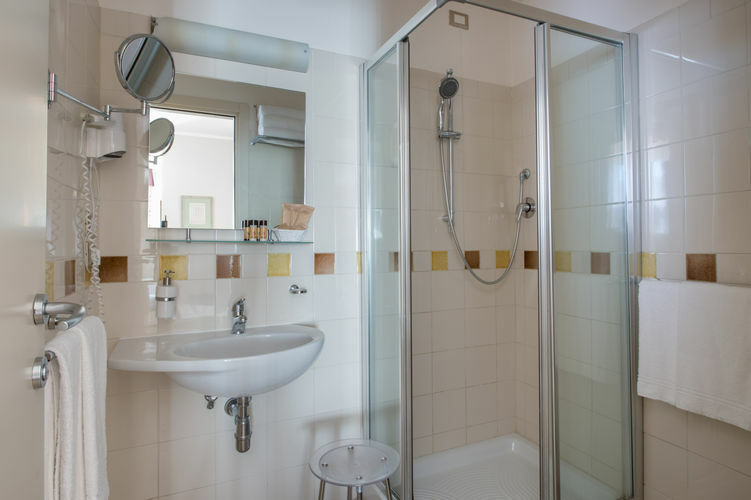 Light, airy rooms with private bathroom with shower and hair-dryer. Non-Smoking Room. mq. 14 A larger room than the double economy. Some of these rooms offer city views. 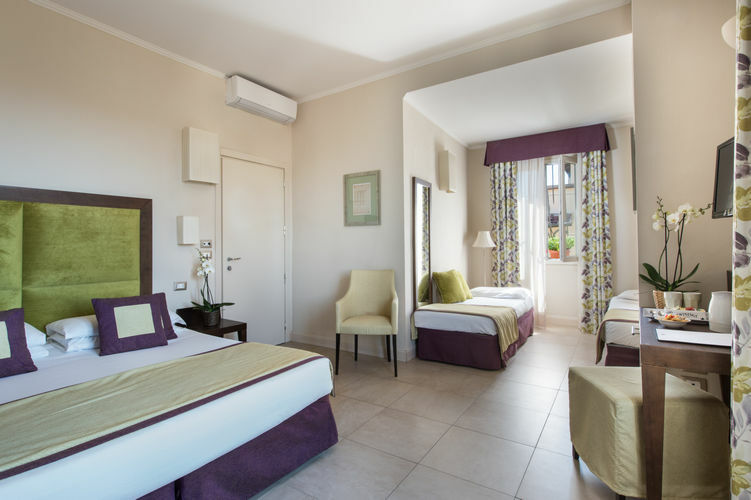 Light, airy rooms with private bathroom with shower and hair-dryer. Non-Smoking Room. mq. 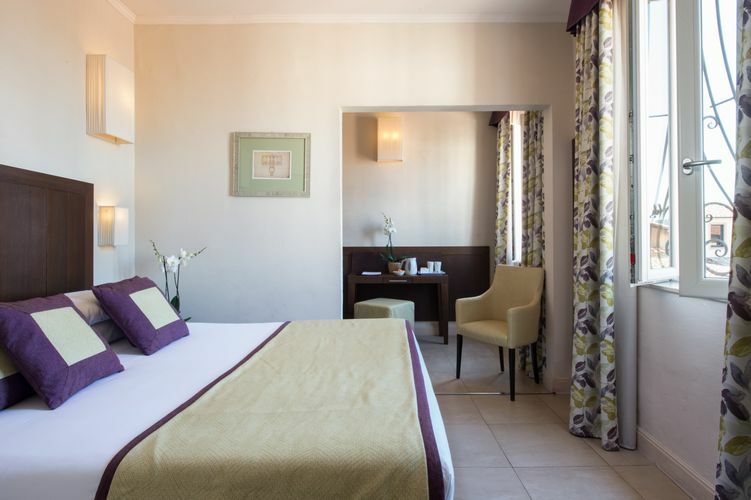 16-20 Larger room than standard double with all confort. 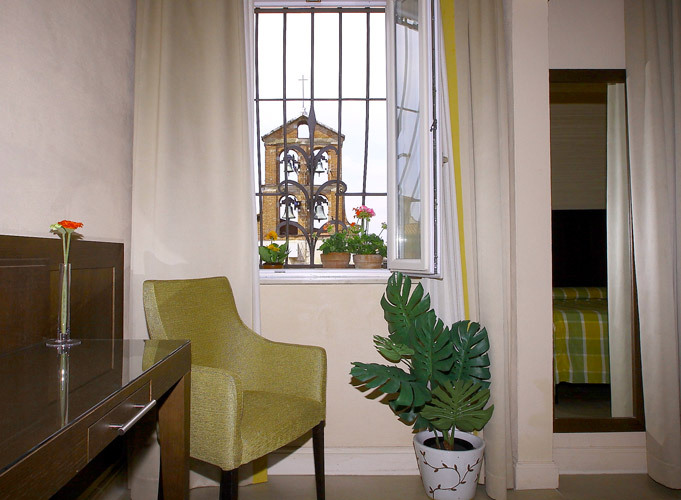 Some of these rooms offer city views. Non-Smoking Room. mq. 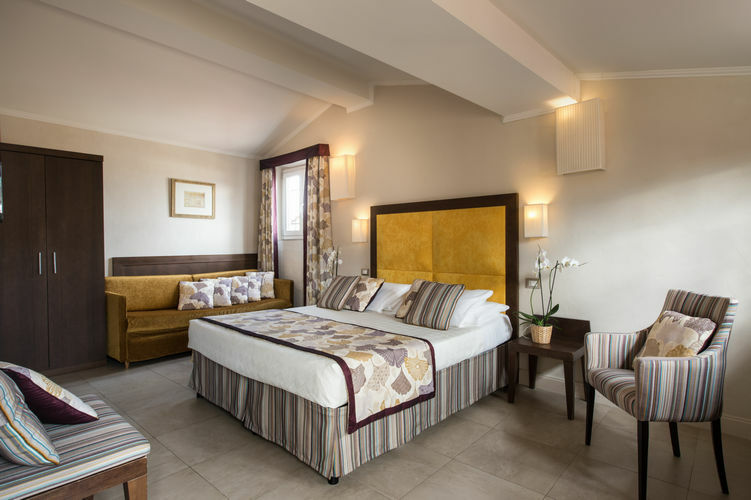 16-18 Large rooms where three adults can confortably sleep. 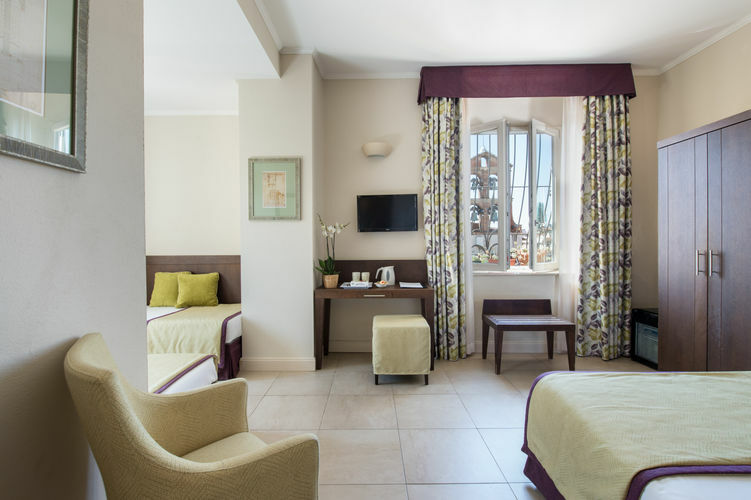 Light, airy rooms, some with a beautiful view on Florence roofs. Non-Smoking Room. mq. 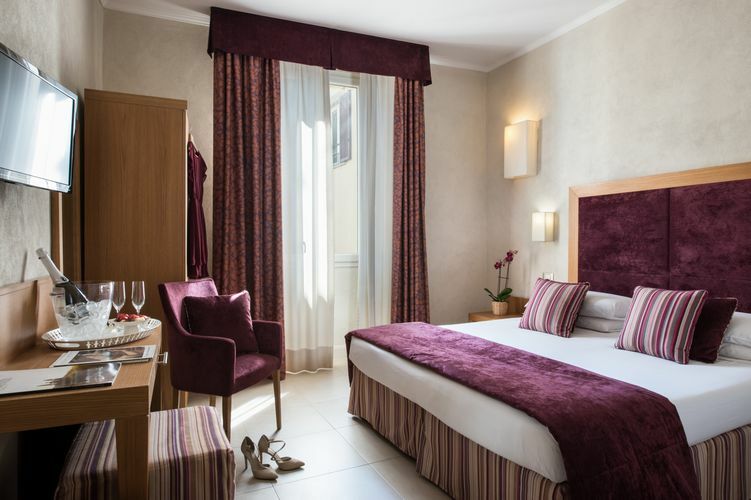 16-18 Room with a double bed and two single beds in a bunk beds system (not suitable for adults), ideal for families with children under 13 years old. Non-Smoking Room. mq. 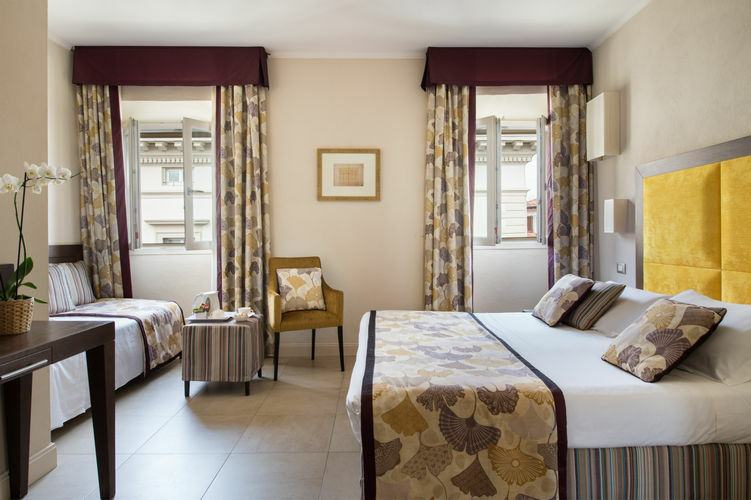 18 - 20 A large room suitable for families with older children or for four adults travelling together. Non-Smoking Room.